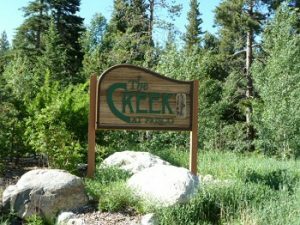 Creek at Frisco is located on the west end of Frisco’s Main Street in Frisco CO Real Estate. Also, a short walk to all the restaurants and shops on Frisco Main Street but also close to I-70 to head to Copper Mountain or Denver. There are a total of 16 lots in Creek at Frisco subdivision. Currently there are 2 vacant parcels of land, 8 duplex properties and 6 homes in Creek at Frisco. The lots range in size from 0.06-0.13 acres. The properties that are already built were constructed between 1998 – 2006 and range in size from three to five bedrooms. Creek at Frisco is an amazing subdivision to look for homes for sale in Frisco Colorado. Most of the properties in Creek at Frisco subdivision have the Ten Mile Creek out their back door. Finding river properties in Frisco Colorado can be difficult but Creek at Frisco makes it simple. If you don’t want to look at the Ten Mile Creek, take a look out your front window at the majestic Mount Royal. From your property you can hike Mount Royal, take a leisurely walk along the Ten Mile Creek or head to Main Street for lunch and shopping. Owning Real Estate in Frisco Colorado is a special experience, take a look at what is for sale in Creek at Frisco today with Justin and Krystal Knott of LIV Sotheby’s International Realty.